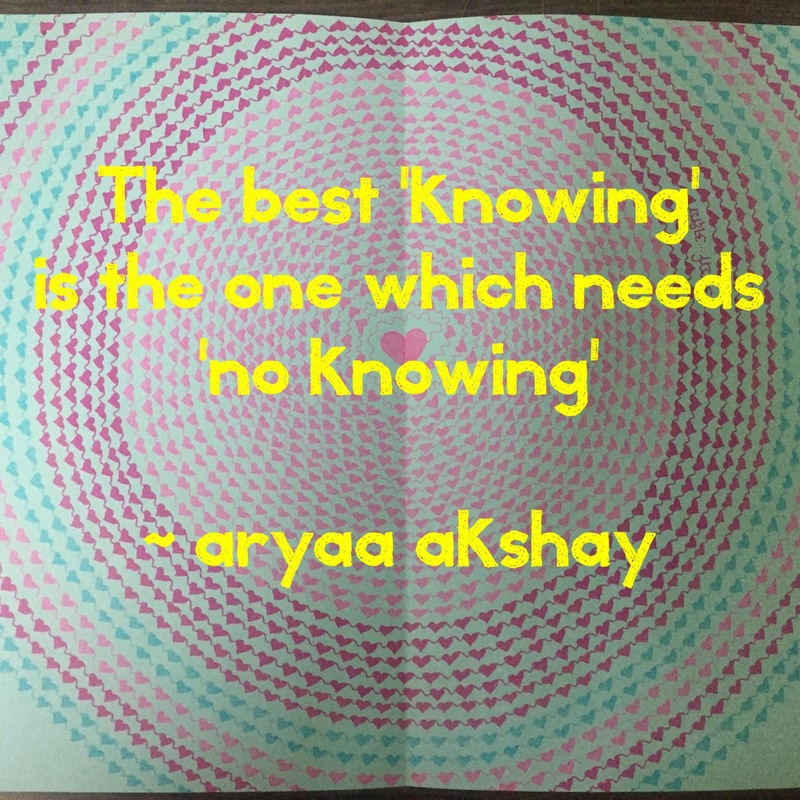 No Knowing = best knowing!!! Sometimes no amount of ‘knowing’ is enough! For a parent of a teenager, knowing where their teenager is: not enough..
For a student, knowing everything that needs to be known, before an exam: inadequate.. The best knowing is the one where we deeply connect with that part of us that knows ‘all is well’. Come what may, we are safe. And this knowing doesn’t really need any information or details.. This entry was posted in Creating Self Awareness and tagged grounding, knowing, not knowing, safety. Bookmark the permalink.